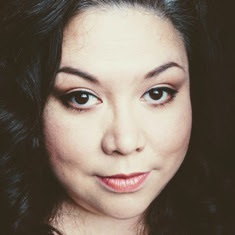 I joined the Makeup Geek site a few months ago. A few weeks ago I made a purchase from their online store. After creating an account for the Makeup Geek store (in addition to my site ID), I purchased the 88 palette. Two of them actually; one for me and one as a gift. I found the site easy enough to navigate and ordering was a breeze. The Makeup Geek store accepts credit card and PayPal payment methods. They also provide a quote on the various shipping methods available. You chose which one you want when you checkout. 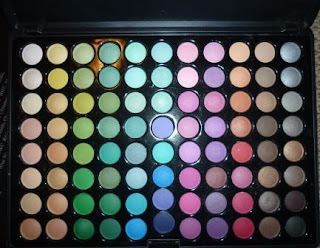 I had researched the web for various sites that had this palette. 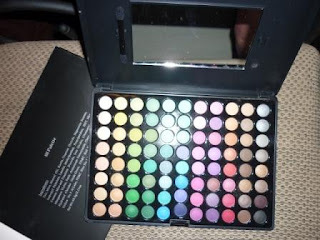 This is the same palette that is available from Coastal Scents. Makeup Geek had it for $19.49 and Coastal Scents had it for $18.95. I decided on Makeup Geek because their shipping rate to Canada was more cost effective. So the $0.54 price difference made no difference. I can't remember the price exactly but the Coastal Scents rate was something like $16 for one palette to ship international whereas Makeup Geek cost me $12.51 to ship two palettes via USPS First Class International. I had no problems with Customs duties/taxes. My order was processed that very same day and was in shipping status that afternoon. I received my package 10 working days later. I expected this and wasn't worried about it. My order came well packaged and nothing was broken or out of order. All in all, I would buy from Makeup Geek again and recommend it to others. Now for the palette...I love it. I don't know why I never got it before. I guess I thought that was too many colours or maybe I was too old for some of the colours. But now I really like to have the variety to choose from. The shadows are nicely pigmented and go on beautifully. I do use some sort of primer under the shadows but then I do for all eye shadows. Now I am eyeing up the 88 neutral palette LOL. Thanks for the info about Makeup geek site. I was planning on buying that pallet at Coastal Scents but I think I will get it from makeup geek instead. (save on shipping) YAYY. I know I couldn't believe the cost of shipping at CS and you only have one or two options for shipping to Canada. Also if you keep your order under $50 you will avoid the hassle of duty and taxes. Some people say $100 but I had issues with a $72 purchase before. I did like shopping at MakeupGeek. No problems whatsoever. Oh and thanks for the tip on the eye curler. I am going to try it. I am scared of it right now LOL.